Tottenham’s greatest strength is the versatility of their players. 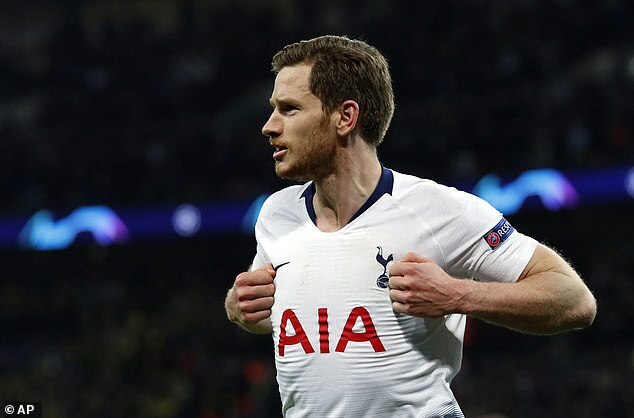 With doubts over the fitness of Danny Rose, Mauricio Pochettino asked centre half Jan Vertonghen to play as a left wing back. He responded with an assist and a goal. Vertonghen (No5 in our graphic) has a cultured left foot but his cross for Son Heung-min’s goal was perfect. He remained an attacking outlet throughout and found himself in the centre forward’s position to score the second. Pochettino is fortunate to have players who don’t just fill in but deliver outstanding displays on the biggest stage. Previous articleBattle Angel 2 Story, Date de sortie, cela se produira-t-il?